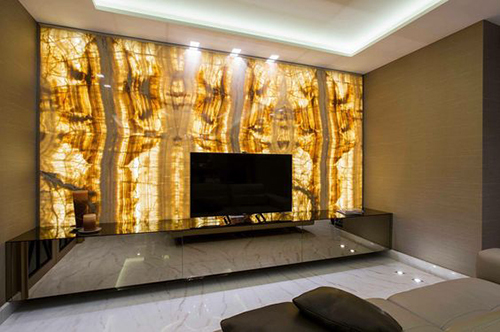 Onyx is a variety of cryptocrystalline quartz in which the forming bands are parallel and regular. 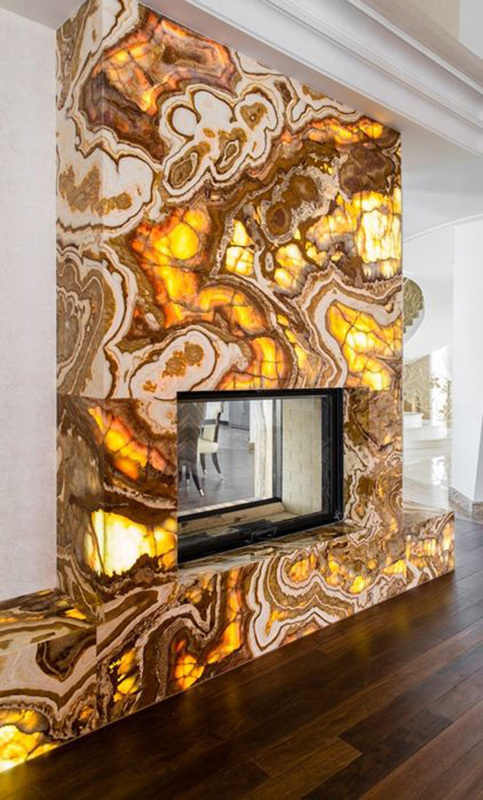 Its appearance is most striking when the bands are of a sharply contrasting color. 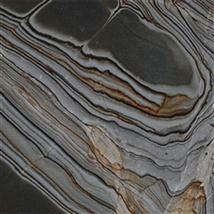 Onyx, along with alabaster and lapis lazuli is considered a semi-precious stone. 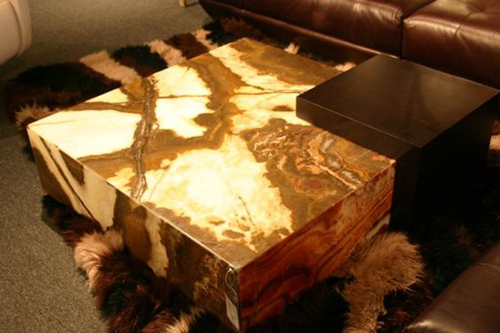 In ancient times it was used for the creation of jewelry, vases and other ornaments. 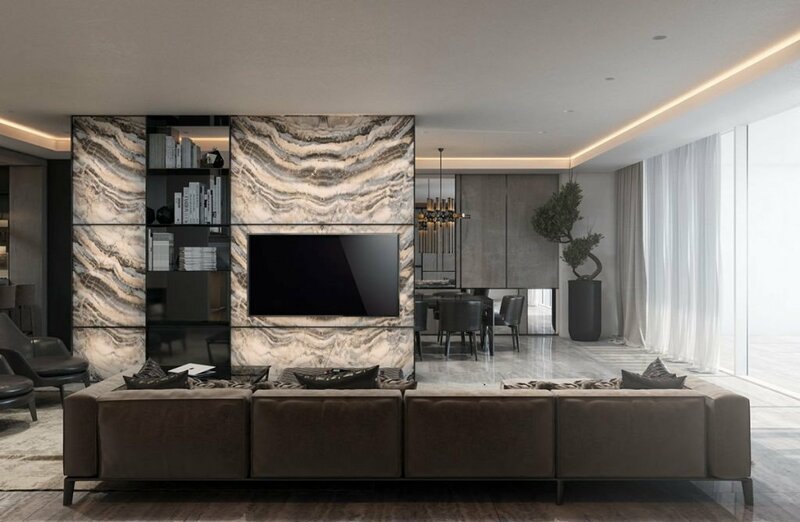 In contemporary décor Onyx is gaining popularity as an interior design material for properties in the top end of the residential and commercial market. 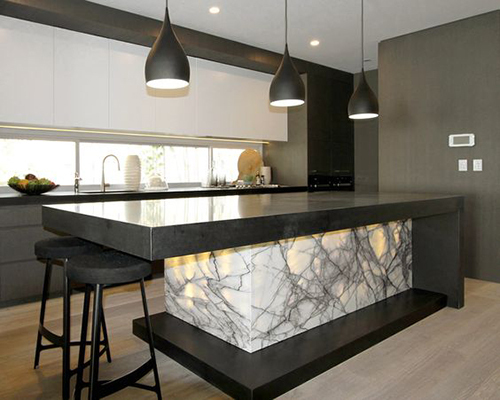 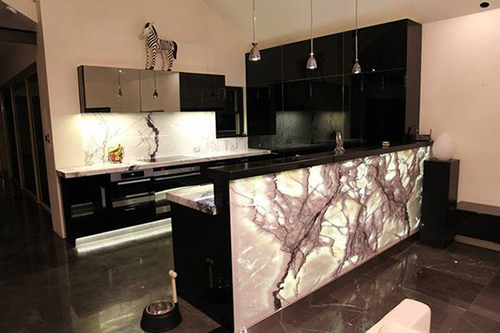 While we at MGSI do not recommend onyx for kitchen counters that are subject to regular use, onyx is one type of unique stone that is being used more and more frequently throughout the home – on bar tops, kitchen panels, accent walls, bathrooms, fireplaces and more. 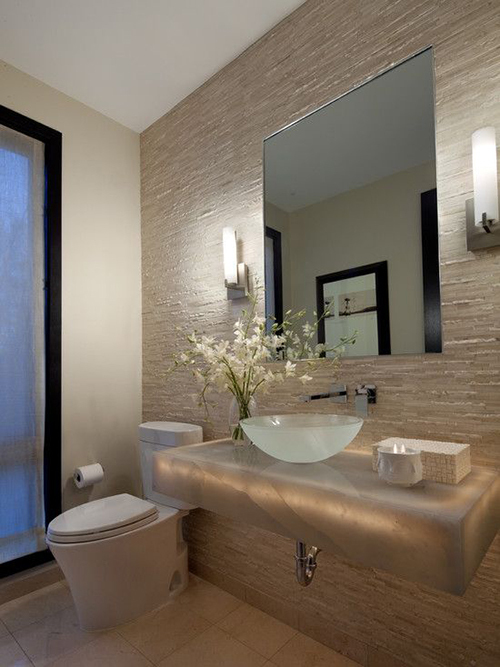 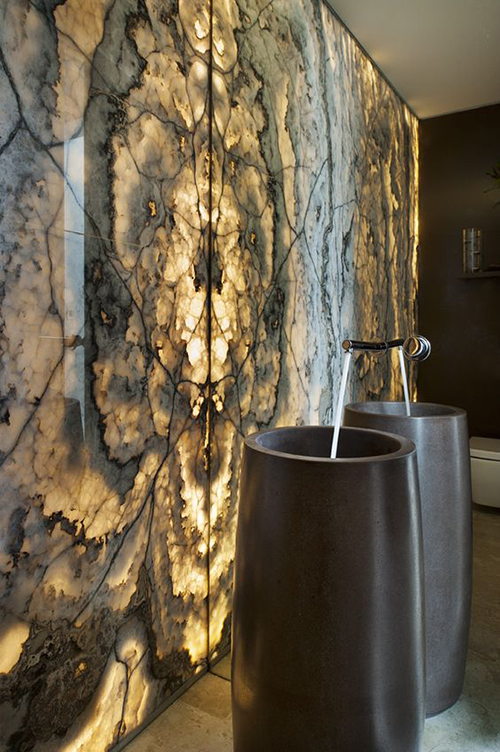 This exotic natural stone is about luxury and glamor. 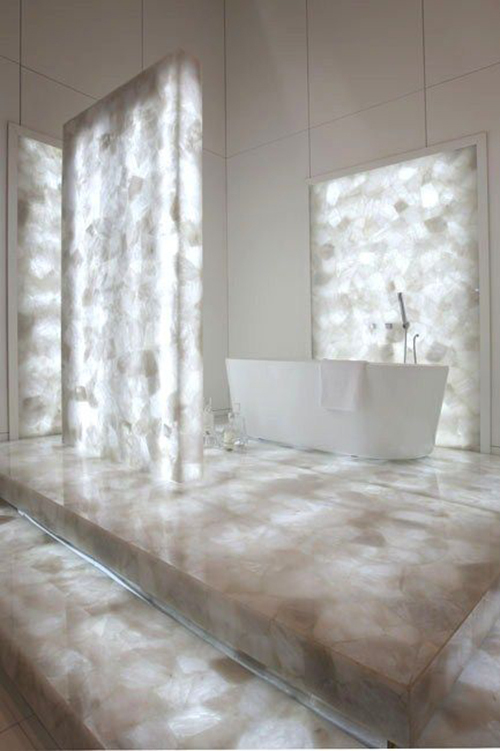 It’s gaining popularity due to its sheer beauty and breathtaking uniqueness. 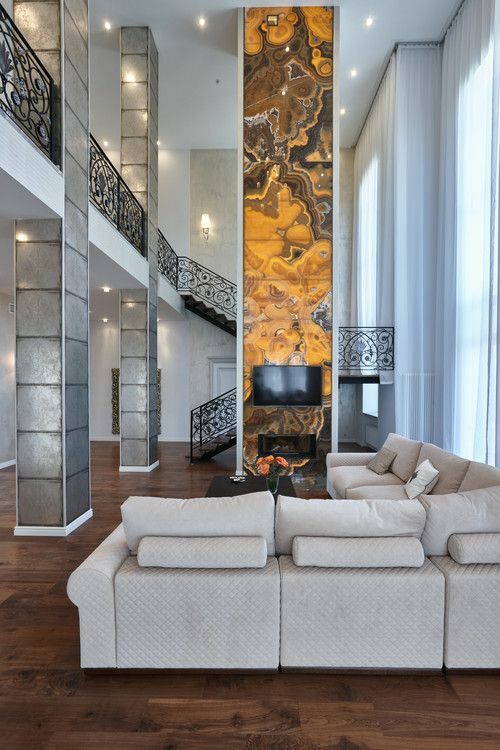 But those large-scale projects are simply incredible. 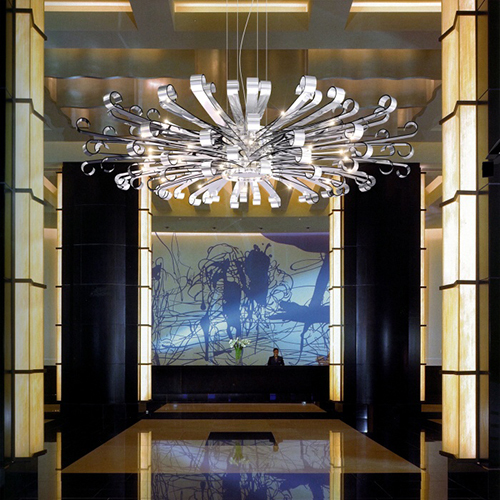 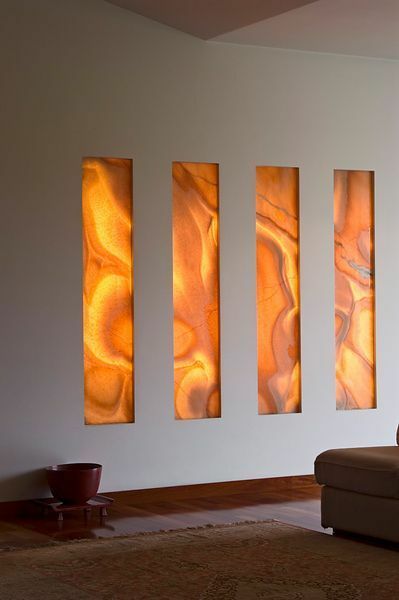 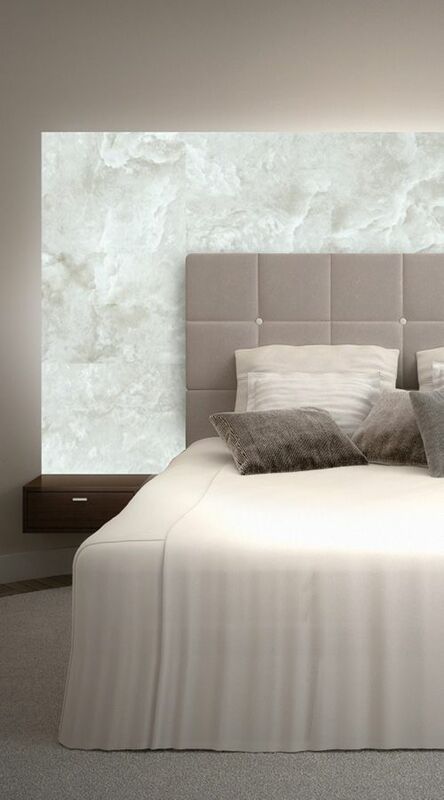 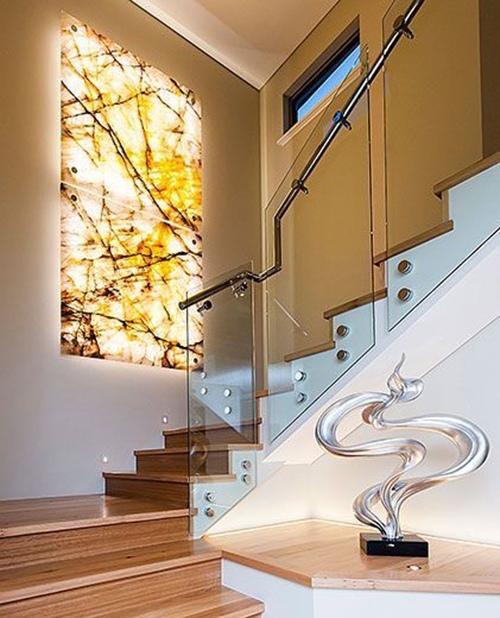 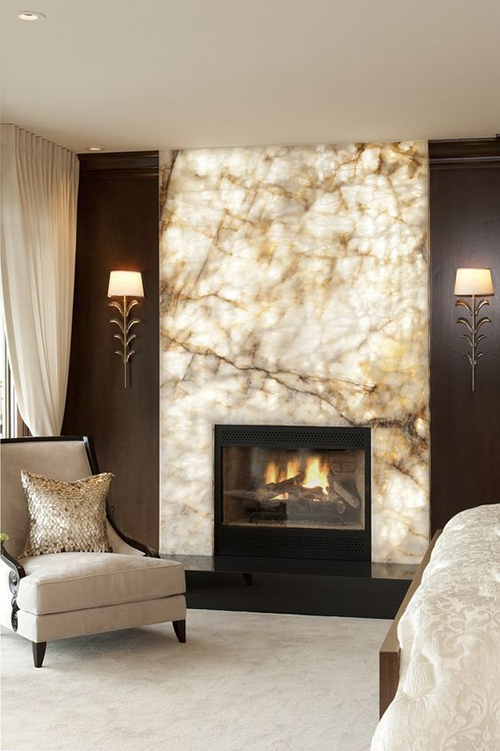 The floor-to-ceiling onyx wall is a special touch that literally brings life to the residence.